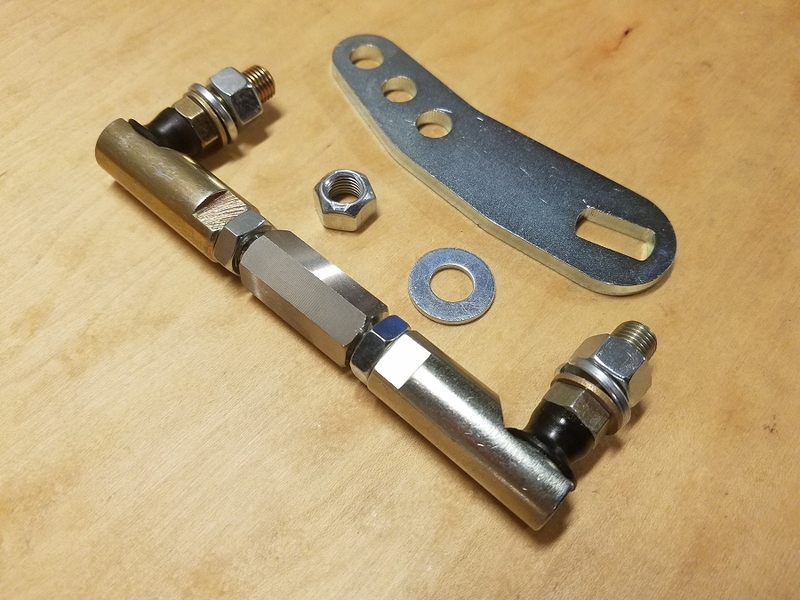 Ditch the horribly complicated stock 231 transfer case shift linkage for our smooth and adjustable ball and socket setup. The linkage includes our own shift tab which relocates the throw to the top of the transfer case, allowing for a much simpler linkage. The kit retains the use of the factory shifter as well. The HD rod ends are sealed to prevent grease wash-out, and will not transfer noise into the cabin. 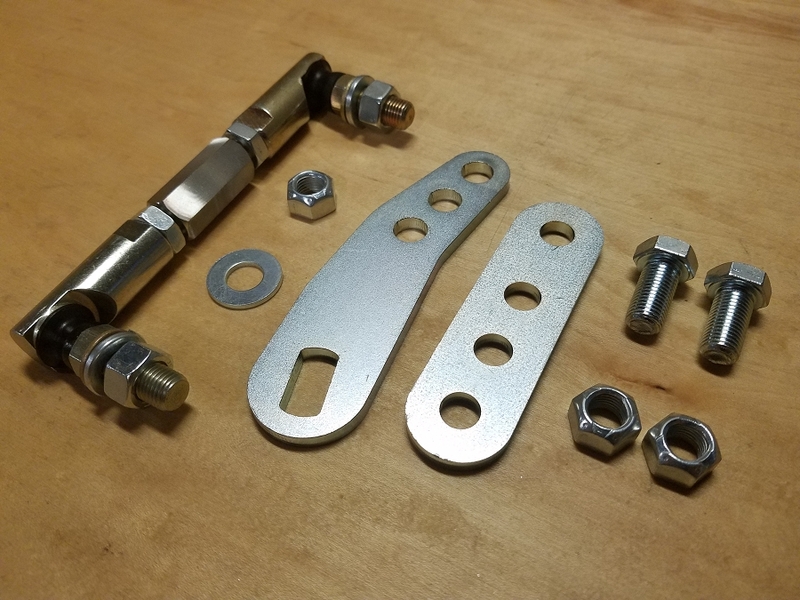 If you have an aftermarket transmission cross-member or transfer case drop, you'll need our shifter extension hardware included in the "231 drop kit". This allows for more adjust-ability in the linkage to dial in the ideal geometry for your specific setup. Ships USPS Flat Rate. We will ship internationally! Please contact us for a quote! With little modification I installed this kit on my manual transmission equipped Jeep Cherokee. For the automatic Cherokee's, this kit appears to drop right in with nothing else needed. For the quality of the components, great price, and excellent customer service, boostwerks is the place to go. When my 4wd linkage came apart on the trail I knew it was time for a aftermarket one. Searched around and found this one on the forums. For the price it is super easy to install. Once you get it dialed in by adjusting it, it shifts better than stock. Great product, defiantly recommend. This kit is amazing! It was very easy to install, and only took 5 minutes to adjust. Worked perfect, smooth and precise shifts! Installed mine yesterday, chose to abandon in place the two brackets because I didn't want to remove the belly pan, driveshaft, drivers seat and carpet, but everything fit nicely and the shifting is so smooth now. Q: What is the difference between the 231HD kit without transfer case case drop as opposed to the one with the transfer case drop? A: The drop kit includes additional hardware to extend the throw of the shifter. If you're using an aftermarket crossmember or long arm system, I recommend getting the drop kit as it' offers more adjustment. Q: Will this kit work on XJs with lift kits? Specifically a 3" kit? The kit will work with any lift kit. However, If your using a transfer case drop you'll need some additional hardware (just select from the drop down menu). Q: How about compatibility on a ZJ with a 231? A: At this point in time, we simply don't know. The linkage was designed specifically for the XJ chassis, but it may work with others. However we don't have any plans on testing it with other models. If your willing to try it out, go for it! I can accept returns as long as nothing has been damaged. You will be responsible for the return shipping however. Q: Does this linkage work on a TJ Wrangler with an AW4 trans and 231 tcase? The linkage will not work on a TJ due to the placement of the shift lever being almost directly above the TC shift sector. Currently this kit is only designed to work with the XJ chassis and 231 case. Q: Would this work in a 1998 ZJ with a NP249J transfer case? A: I'd have to say no, although I don't know for sure unless I had it in front of me.